There’s a better way to manage data and make decisions. Imagine with the click of your mouse being able to see emergency room wait times and line lists of infections, and with another click, creating an antibiogram or analyzing financial performance. That’s the beauty of Emerald’s health care analytics—instant, one-source access to all the information and analysis you need to improve care and operational sustainability. The Canadian health care professionals at Emerald have designed two sophisticated yet easy-to-use systems—Dynaboard™ and Dynamine™ —for all your solutions. Dynaboard™ brings to your fingertips real-time information and consolidated reports across departments to help you improve patient outcomes, working conditions and your bottom line. Dynamine™ is the industry-leading tool hospital staff use to quickly and easily capture workload statistics for simple reporting and smarter planning. It also offers web-based data entry capabilities so your team can use optimized tools for assessments or audits, and capture data outside your Hospital Information System (HIS) such as survey responses. 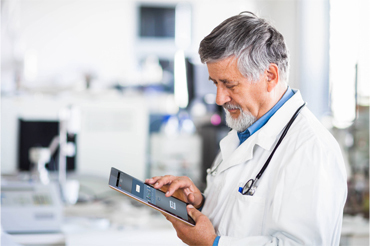 The combination of Dynaboard™ and Dynamine™ gives you an end-to-end solution for the capture, analysis, reporting and communication of information for health care leaders.